As full-time podcasters, we can often forget that not everyone knows all the ins and outs of what a podcast is! There are even people out there who have never heard of a podcast, or if they did, they still can’t quite put their finger on what exactly it is. As a result, podcasters are often sought out to answer those simple questions like, “What is a podcast? Why is it on my phone? And how is it your full-time job?” However, many times the individuals asking the questions are simply too embarrassed to even ask and are left in the dark never to discover that incredible world of podcasting! So to make it a little easier for everyone to take part in the incredible resources that podcasts can be, we’ve decided to go ahead and answer some of those questions right here on the blog! Podcasts are simply like pre-recorded radio shows that are released periodically and hosted by one or a few people. Each show has a unique topic of focus, sharing their thoughts and expertise to those looking to find out more about that subject. These “radio shows” can be fiction or non-fiction, can consist of interviews or solo talks, and can be short episode segments or long form discussions. 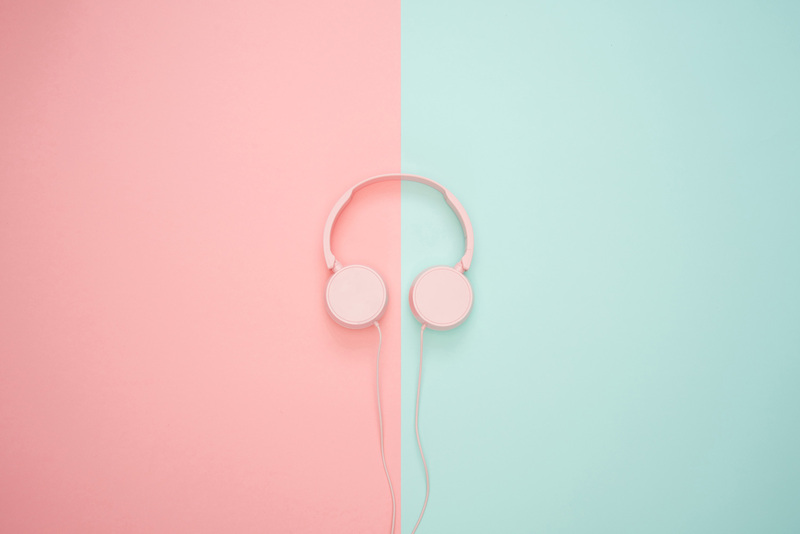 Every host has their own unique spin on how they present their content and listeners can listen through different podcasts to find the ones that most appeal to them – just like you would your favorite shows on Netflix! 2. Do People Actually Listen to Podcasts? Yes, people definitely enjoy listening to podcasts. There are millions of on-going episode downloads around the world! Of course, some podcasts have bigger audiences than others, just like anything else in this world. Depending on the popularity of the show or the host, listenership will increase. Since podcasts give their audiences an audio form of content, this makes it a lot easier to be consumed. Listeners can simply pop on their headphones and listen to an episode or two while commuting to work, going for a run, or doing chores in the house. In the same way that you would look forward to a new episode of your favorite TV show, so too listeners get excited about new podcast episodes being released. Whether it’s because of a special guest being interviewed or simply because of a specific topic they’re interested in, each podcast episode provides some new exciting content that draws listeners in. 3. Can Anybody Start a Podcast? Yes, anyone can start a podcast! As long as you have some way to record and edit your episodes, you are already off to a great start. Recording can be done simply through your iPhone, or if you are willing to invest a bit more into the sound quality, then using a proper podcast microphone is recommended. However, before getting started you have to be clear on your topic or concept for your podcast. Know who your potential audience will be, what you will help them with, and what your objective with the podcast will be. This can be to either create another form of content for your established audience, networking with others in your industry through interviews, or simply as a marketing strategy for your business. Next, you’ll need to host your podcast on a podcast directory or hosting site. This will establish an RSS feed for your podcast that will help listeners find your show and notify subscribers when new episodes are released. If this all sounds a bit foreign to you, there are plenty of incredible resources out there to help you get started and smooth out the process of launching a podcast. 4. Does Podcasting Take a Lot of Time? The short answer is: yes and no. It all comes down to the type of podcaster you are. If you are someone who can just hop on an episode, record it in one shot without needing any real edits, then it’ll barely take any time at all. However, if you are someone who likes to trim the content, cut out all the “ums and uhs”, and add a lot of sound effects or music overlays, then it might take a bit more of a time commitment. First of all, you will have to plan out your episodes, schedule and arrange guest interviews, and learn how to edit your episode (if you don’t already know how). Of course, if you have someone on hand to edit your show and do all of the daily administration tasks, then again, the time commitment will be less. Now again, if you only release one episode a week, or one every two weeks, then the time commitment will be less. However, if you are daring enough to take on a daily podcast, then of course the time commitment will be much more. So it all comes down to your style of podcast, how much help you will enlist, and whether or not you love being a podcaster! 5. How Do You Know People Will Listen to Your Podcast? Even with a podcast industry that is filled with 100’s of thousands of podcasts, there is never anyone who can tell it quite like you can. Every single podcaster has their own unique spin on a topic and a specific experience that they can share with their audience. People are always seeking new ways to hear about a topic and new facts and experiences that they can tap into. If you are truly solving a problem for someone out there, then your podcast will definitely draw listeners in. A great way to ensure that you will attract an audience is to create listener-driven content. This means establishing your expertise in the area, building a strong podcast community, asking for their feedback, and getting your listeners to contribute to the topics and specific episodes of your podcast that you release. When you are providing listeners with what they want to hear, you are sure to draw them in! 6. Do You Have to Interview People On Your Podcast? No, you do not need to interview people on your podcast. Your show is yours to create as your own. Whether this is through solo episodes or simply answering listeners questions, there is no need to have anyone else on. Especially if it is a fiction podcast, the story is yours to tell and a narration is the best form for the show. However, inviting other experts on to your podcast is a great way to bring a new perspective to your show. Special guests can dive even deeper into specific topics and help give your listeners an even more in-depth analysis of the subject. Plus, with each guest, it provides you the opportunity to reach new audiences that have not yet listened to your podcast. When your guests come one, their audiences will likely tune is as well, giving you a chance to get even more exposure. So don’t be afraid to open up the chance to bring new life into your podcast with a guest or two! 7. Can Podcasting Be a Full-Time Job? Yes, podcasting most certainly can be a full-time job. As your podcast grows, so does your potential for gaining sponsors for your episodes. This in turn creates a revenue stream for your show, which can provide an income. Of course, your ability to turn it into a full-time job is proportionate to how hard you work to grow your podcast community, how much effort you put into making it an attractive avenue for sponsors, and what you are willing to do to make it a success. A lot of times, a podcast is simply another supplement to an already thriving business. It’s another avenue for individuals to market their businesses, to create some extra buzz, and draw even more people in. So even if the podcast doesn’t end up being your full-time job, it often becomes yet another part of your already established, full-time business. 8. How Long Does it Take to Make Money Podcasting? Again, when or how much money your podcast makes is completely depended on you as the host and how fast your podcast grows. As your audience and podcasting community grows, it opens up opportunities to gain sponsorships for the episodes. Companies will pay to become sponsors of your show, and in return, they can place an add in your episodes that will gain them new customers. This works especially well when it is a company that creates products or services in line with what your podcast is about and what your listeners would be interested in learning more about. Often times, podcasters also start crowdfunding platforms to encourage listeners to donate money towards the show. In addition to that, you can also promote and sell your own products to listeners to create another revenue stream. Ultimately, when you make money is totally up to you and how hard you are willing to work to make your podcast profitable. 9. How Does Podcasting Benefit You? There are many benefits to starting a podcast. First off, if you are someone who loves to talk about a topic that you are passionate about, a podcast is a great platform to spread your message authentically. Podcast episodes provide your listeners with on-demand content allowing them to listen at their leisure and catch up on any episodes that they may have missed. Having a podcast is also a great way to promote your products and services that already exists. As you continue producing podcast episodes, so too you establish your credibility as an expert in your field. In return, listeners are much more willing to turn to your products and buy from you. As your podcast grows, an inevitable result is an incredibly engaged audience. Listeners love to be part of the show and engage in topics and discussions. There’s nothing quite as powerful as a strong community around your podcast, and ultimately your brand. The initial investment into growing your community might be a lot, but the reward you will get from such an engaged audience will be priceless! 10. What’s the Best Thing About Podcasting? The best thing about podcasting is definitely dependent on you as an individual. Some people love podcasting because of who they meet. Whether this is through interviews or by attending podcasting conferences, to them it’s all about the networking! For others, it is more about their audience. Being able to help others on a large scale and connect with your listeners in your community can be an incredible motivator. Plus, if it is your passion to lead and help others then this will be the key to achieving that inner self-fulfilment. Then for others, it is all about getting creative, producing something of value, and having something they can look back on and be proud of. A podcast can be an invaluable resource, for not only your listeners but for you the host as well. With all the lessons you learn and each of the episodes you put out it adds to a complete set of works that can eventually be turned into a book. Ultimately, the sky is your limit, the benefits are plentiful, and it is completely up to you what you take away from your overall podcasting experience!